And it is December! Here's the round up of last month's Sweet New Zealand. Our 28th month! First up this pretty as a picture crepe cake from Alessandra with edible flowers & alpine strawberries straight from her garden...crepes & cointreau infused butter cream sounds pretty heavenly to me. 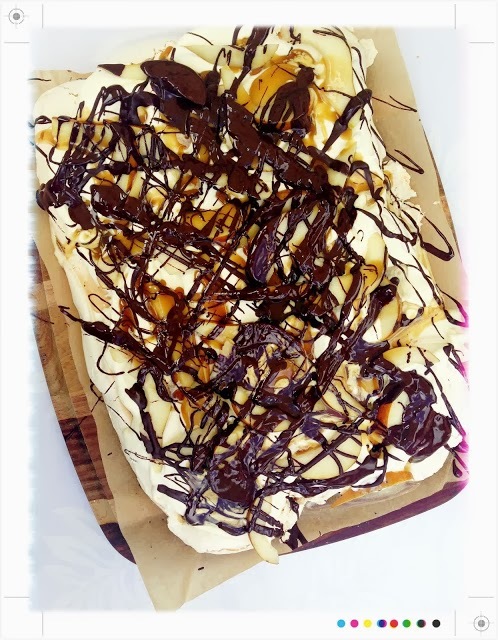 Second my contribution; my take on pay…pear belle helene pav....so really somewhere between a meringue & a pav...a little chewy & a little crunchy topped of with whipped cream, pears, bittersweet chocolate...& oh yes....just a little salted caramel sauce! And then there are these elderberry flower fritters from Alessandra....every so pretty & delicate. 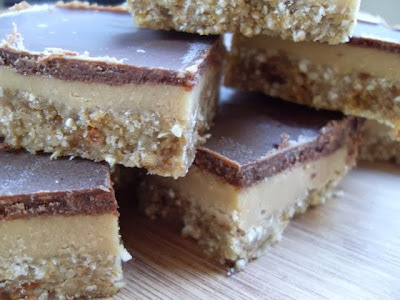 Next up what could be the perfect raw caramel slice from Frances over at I Bake Club. Caramel - check. Chocolate - check! 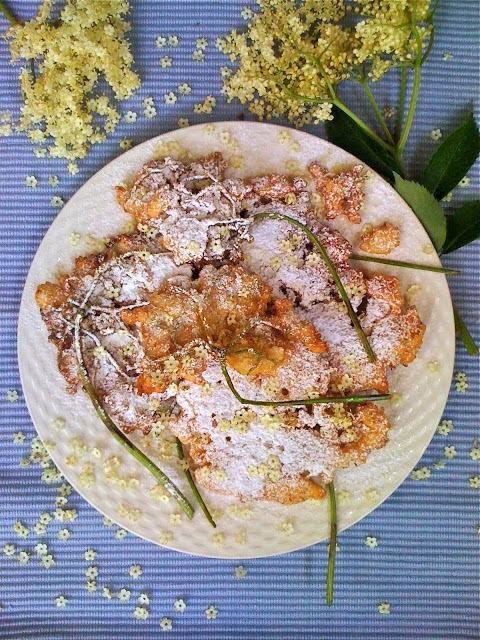 It is hard to believe that it is gluten, sugar & dairy free. 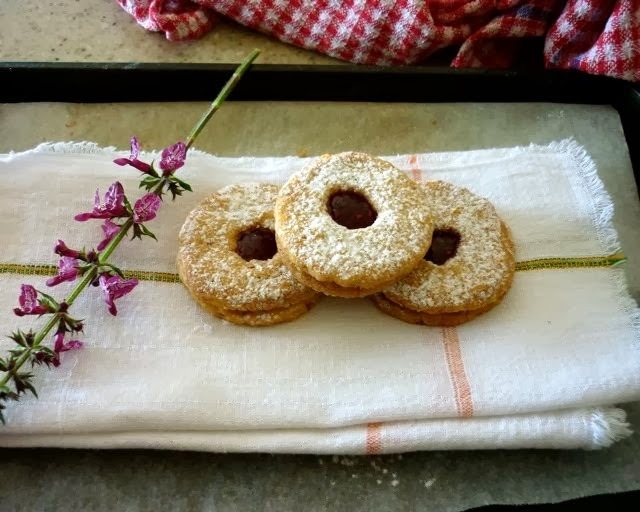 From Lesley at Eat Etc we have her take on Linzer Torte by way of these delectable Linzer biscuits, nutty biscuits sandwiched together with jam. I’d imagine perfect with a cuppa. 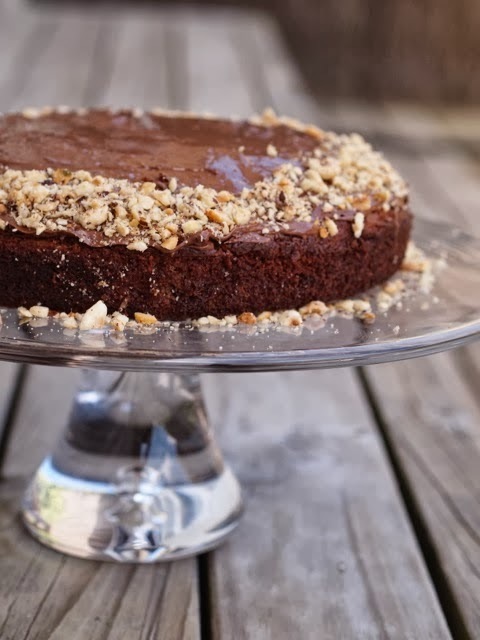 And now we move in to the completely decadent with this amazing banana nutella cake...yes you heard right! Banana cake with a nutella coating! 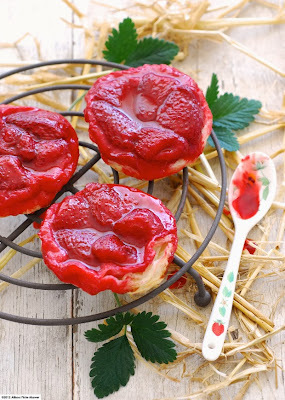 Summer is almost here & strawberries are here! 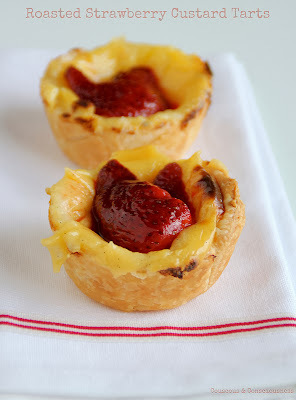 And they make for the perfect little tart as you can see by Alli over at Pease Pudding’s contribution. Perfect little strawberry tart tatins with a vanilla syrup. Now that is a dessert perfect for Summer. Carrying on the Summer & strawberry theme check out these beautiful looking morsels from Sue over at Couscous & Consciousness…roasted strawberry custard tarts. I want one...Now! And with Christmas on the horizon how about these Christmas Caramel Slices from Nom Nom Panda....they’s make the perfect festive gift! 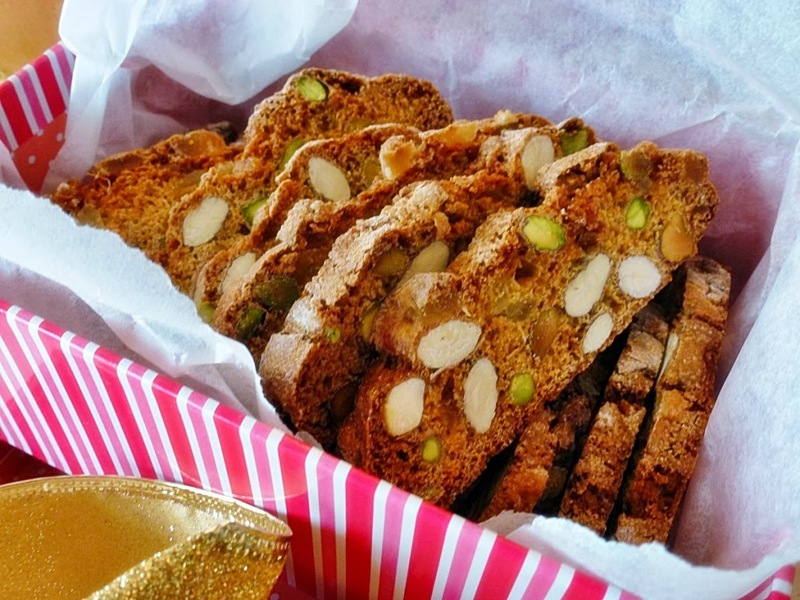 And finally these gorgeous looking pistachio orange & cardamom biscotti...these would also make a the prefect festive gift....if they lasted that long. I love cardamom so these are right up my alley! 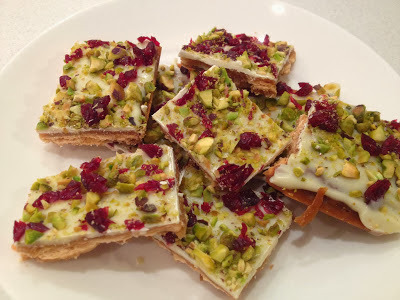 With Christmas just around the corner I am sure you will all be cooking up lots of festive sweet treats. 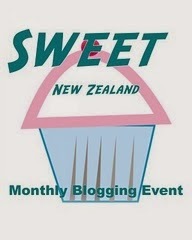 Be sure to send them on to Alice at Alice in Baking Land who will be hosting December Sweet NZ. 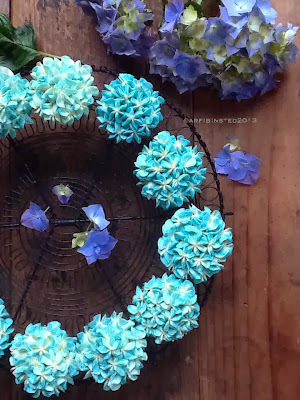 Beautiful round up, Mairi! 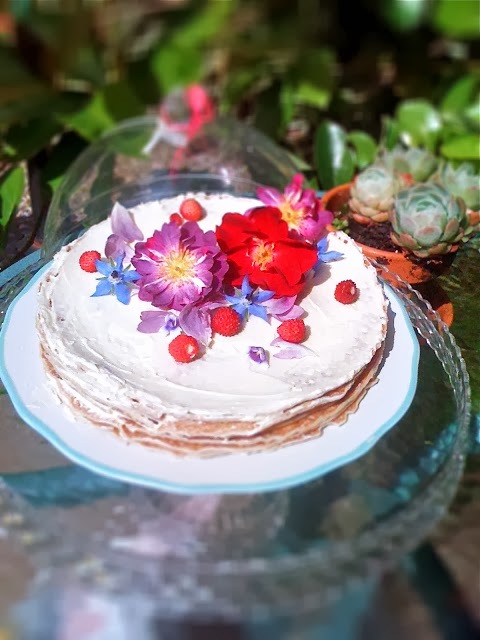 The extra summer sunshine sure gives good lighting to all these desserts! Thank you for hosting Mairi, these all look fantastic! You're welcome Alessandra, it was fun! A nice medley of some sweet and interesting treats there, Mairi. Looks both summery and festive.